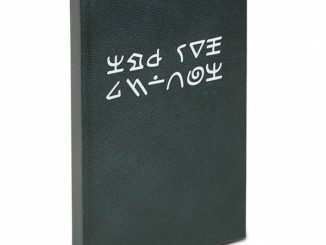 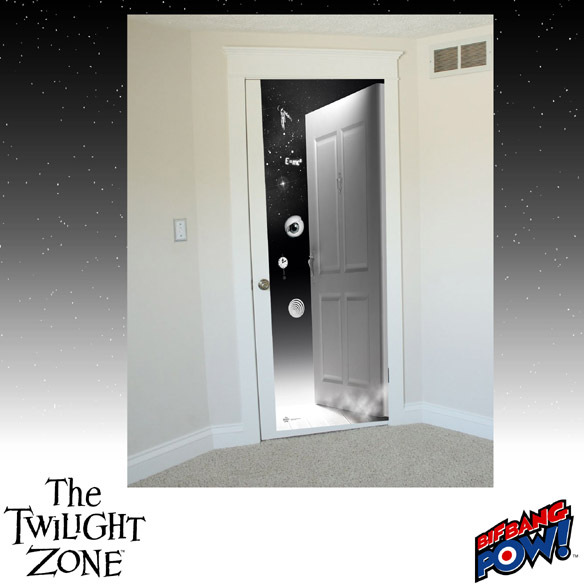 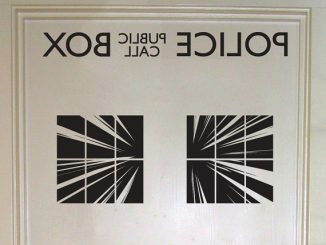 With The Twilight Zone Doorway to The Twilight Zone Door Decal, any door in your home can become a doorway into another dimension. 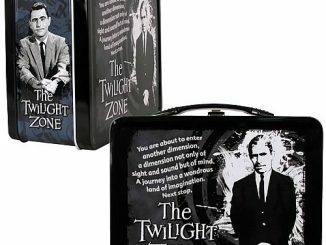 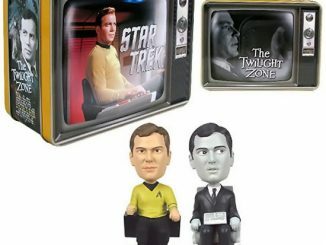 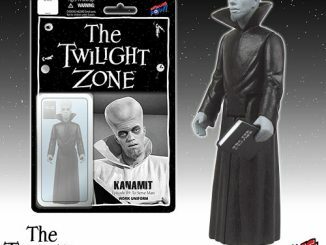 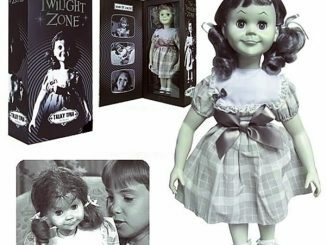 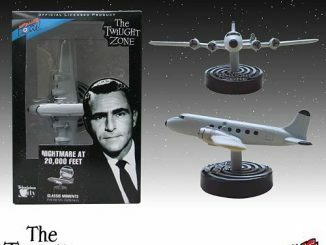 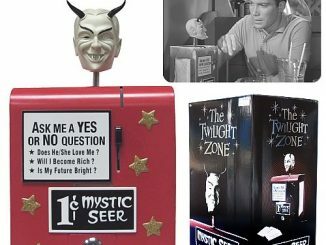 Made of vinyl and measuring 80-inches tall x 32-inches wide, this removable decal lets you peek into the freaky and creepy Twilight Zone with a visual that includes the floating doorway, eyeball, and clock from the opening credits of the popular 1959 television series. 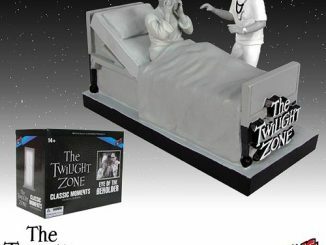 The Twilight Zone Doorway to The Twilight Zone Door Decal will be available September 2015 but it can be pre-ordered now for $39.99 at Entertainment Earth.